Grain whisky. It’s always been a rather divisive topic among whisky drinkers. Some see it as no more than blend fodder or a ‘poor man’s bourbon’ whilst others, who may have tried some cracking Clan Denny bottlings or Scotch Malt Whisky Society single casks, see it as a unique, albeit small, category in its own right. I’m firmly of the latter opinion. I’ve tasted some brilliant Caledonians, Girvans, Port Dundases, Invergordons etc over the years and they’ve opened my eyes to what I initially thought was a rather industrial, personality-less spirit. Recently, we’ve seen the launch of Girvan Patent Still whisky from William Grant & Sons and now it’s the turn of the big boys, Diageo. 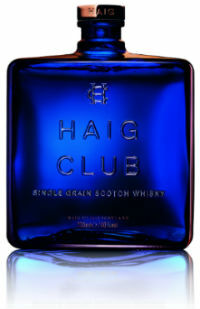 Enter stage left the Haig Club, a brand new single grain whisky from the Cameronbridge distillery. Cameronbridge was established in 1824 and it was at this distillery where John Haig pioneered the use of Coffey and Stein stills to efficiently produce high volumes of grain whisky for blending. Indeed production at Cameronbridge now stands at a staggering 120 million litres per year and Diageo have recently invested £70 million in bioenergy technology at the distillery. They’re not fannying about. Now, to the product. Last month I was lucky enough to be invited to a very secretive tasting of ‘product x’, as it was called at the time, at a top secret location in the heart of Edinburgh. Passwords, strange Masonic-esque handshakes, a sample of Aisla T’Orten 105yo and a lock of Hoban’s hair were required to gain access to this underground nuclear bunker. Actually, not all of that is strictly true… but Diageo were certainly keeping their cards close to their chest when allowing myself and a few select others to sample the liquid. Dr. Nick Morgan, Diageo’s head of whisky outreach, guided us through this new liquid, stating only that it was an NAS, 40% ABV, single grain whisky aimed at recruiting new drinkers into whisky. Nothing was given away regarding name, packaging, RRP or celebrity endorsements. While the apt name may hark back to Cameronbridge’s heritage, I’m not surprised he didn’t discuss anything else. Now don’t get me wrong, coloured glass can be cool. Look at Cutty Sark Prohibition, Old Pulteney 40yo or the newly launched anCnoc Peaty Collection to see what I mean. The bottle’s also very unfussy. Another big tick. 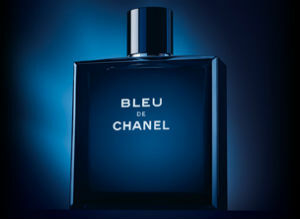 But if I buy a bottle of this I’m gonna have to keep it in a different room from my bottle of Bleu de Chanel, or if I’m not careful I’ll end up going out one night smelling of whisky and with a terrible taste in my mouth. That scenario doesn’t usually happen until at least 2am. It looks cheap, low quality and not at all what I’d go for if I was ‘new to whisky’. The celebrity endorsements are the ones that really tickle me. To promote Diageo’s responsible drinking programme, none other than goldenballs himself, David Beckham, has been dragged in – probably because his manager, Simon Fuller, is the other ‘big name’ (I had to google him) involved with developing the brand. Trying to recruit new drinkers, huh? Well, putting Beckham’s name to it has just distanced the vast majority of young female drinks who will instantly perceive this as a ‘male’ drink… as if whisky didn’t already have an issue with trying to shrug that image off. I mean, I’m not going to buy a drink endorsed by Kylie Minogue or Serena Williams without feeling like a right prick at the bar. Now I like Beckham as much as the next man – we all remember THAT goal from the half way line, and the brilliant interview with Ali G - but did he really need a few extra quid this badly? Finally, there’s the suspicious lack of a retail price. If everything else is in place, surely they must have at least a ball park RRP so we can get an idea of how much this is going to cost. Or maybe they’ve shined up their brass necks on the back of the outrageously priced Mortlachs and are going to drop another mega bombshell later in the year when the product goes to market. I’ll wait with baited breath in the aforementioned nuclear bunker just in case. Nose: Butterscotch, toffee, apricot, orange peel and faint cinnamon. Palate: Caramel, vanilla fudge, chocolate éclair toffee sweets, and Werther’s Originals. Quite a creamy texture. Finish: Cinnamon, vanilla and honey. Overall: Quite tasty. Considering it doesn’t come with an age statement we can probably say it’s youngish, and it’s better than most young grains I’ve tasted before. The mouthfeel is lovely and I have a feeling mixologists are going to have quite a bit of fun with this when it comes to creating cocktails. However, it looks like a bottle of aftershave, it’s a very simple liquid, and all I can picture when I think of it is Beckham’s H&M underwear ad… and I’m not that way inclined. A price tag of £25 would sit about right for me, anything over £35 for this product and we’re venturing in to the super-mega-ultra-premium category Diageo seem to have invented for themselves recently. I hope not, but with Beckham promoting it, you never know how far Diageo will think they can push that boundary. This entry was posted	on Wednesday, April 9th, 2014 at 8:10 am	and is filed under Reviews. You can follow any responses to this entry through the RSS 2.0 feed. Responses are currently closed, but you can trackback from your own site.